Kim Congdon is a Florida Registered Paralegal. She assists attorneys with a variety of commercial litigation matters, with particular emphasis in assisting with construction litigation including, defect claims, contract disputes and Subguard issues.. 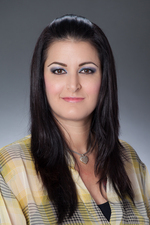 In addition, she has substantial experience in assisting with insurance coverage issues. Mrs. Congdon assists in all phases of discovery and trial preparation, and has assisted attorneys on cases for contractors, sureties, and major insurance companies. Mrs. Congdon joined Hinshaw & Culbertson LLP in July 2010. Previously she was for six years a paralegal at the Law Offices of Vincent Vaccarella. She began her paralegal career in 1998 as a bankruptcy litigation paralegal. She became a Florida Registered Paralegal in July 2010.